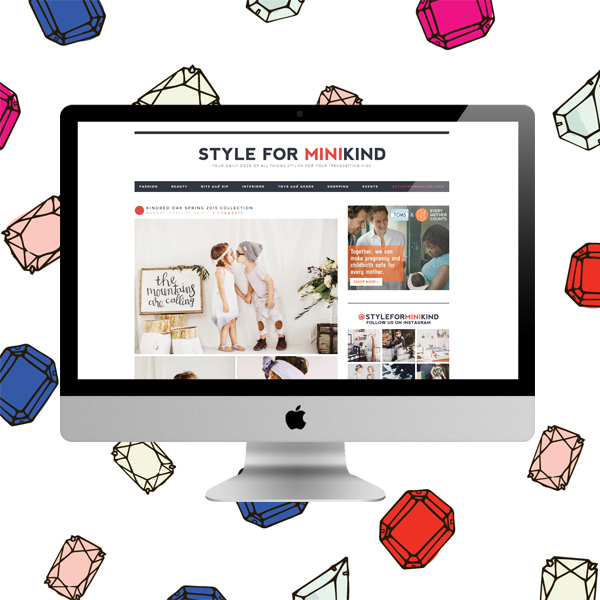 Introducing Style for MINIkind, the "mini" version of my fashion and lifestyle blog, Style for Mankind. This mini version of the blog has been in the works for the past more or less 4 months and finally, after endless days of brainstorming and coding it's now live! Some of you are probably wondering why I did chose to launch a kids / baby blog when I don't yet have kids? Well, it's simple . . . I love kids especially the stylish ones — and I am so sure that you too, admires cute little trendsetters. Just like this blog Style for MINIkind will also cover a wide range of topics which I am so sure you all will enjoy. If you guys want to be sure to miss anything, do not forget to follow Style for MINIkind on Bloglovin, Facebook and on Instagram @styleforminikind. aaaaand lastly . . . if any of you are interested to contribute / write some original content like DIYs, tutorials, parenting tips, inspirations and more for Style for MINIkind, please do let me know! I am looking forward to hear all your exciting ideas and as always, thank you for your endless support!